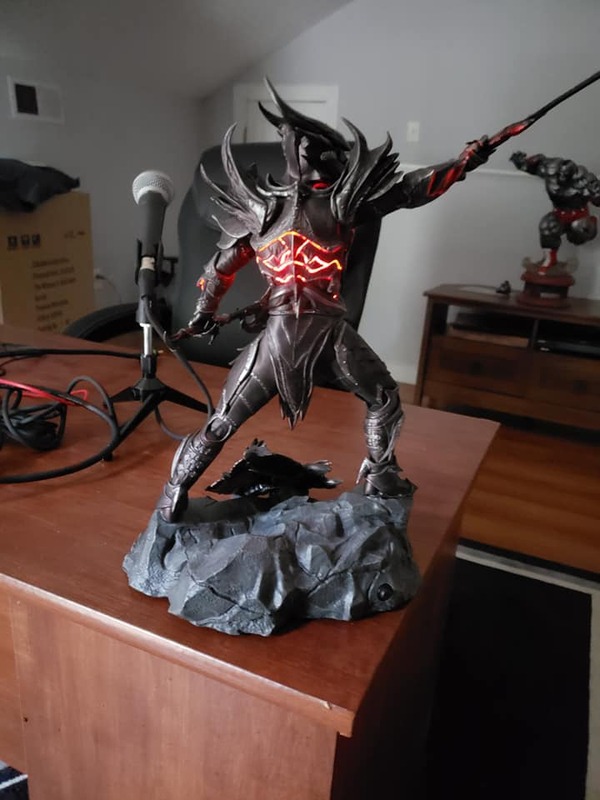 "I can only tell you tales of how to make Daedric Armor. I have never seen it myself, nor do I know anyone that has. The stories say that it should always be worked on at night... ideally under a new or full moon, and never during an eclipse. A red harvest moon is best. Ebony is the principle material, but at the right moment a daedra heart must be thrown into the fire." 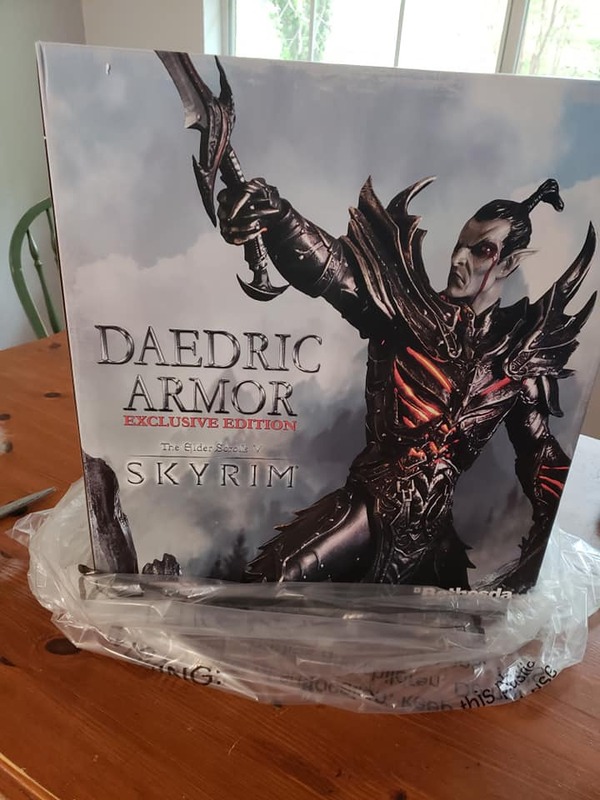 Gaming Heads proudly presents the Daedric Armor, the third piece in our The Elder Scrolls V: Skyrim range. 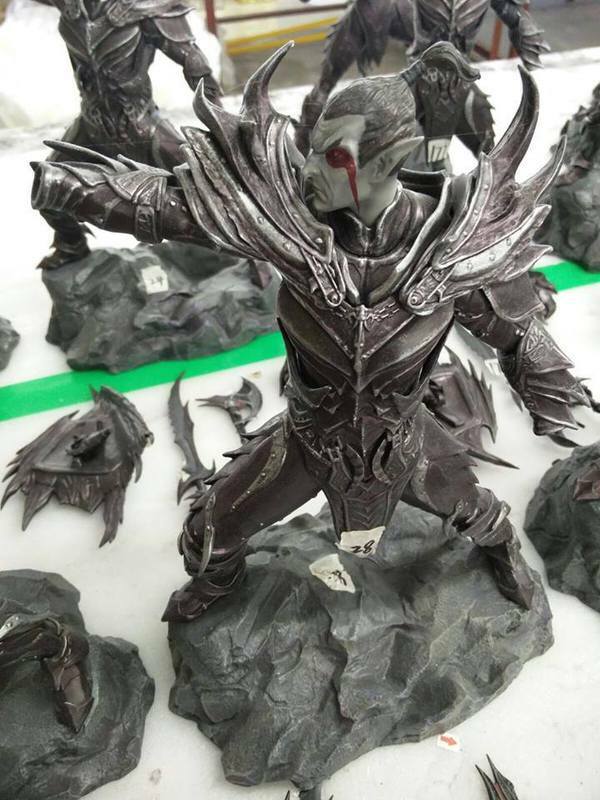 The rarely-seen Daedric Armor is one of the most advanced amour sets in the game, with unparalleled defensive capabilities. 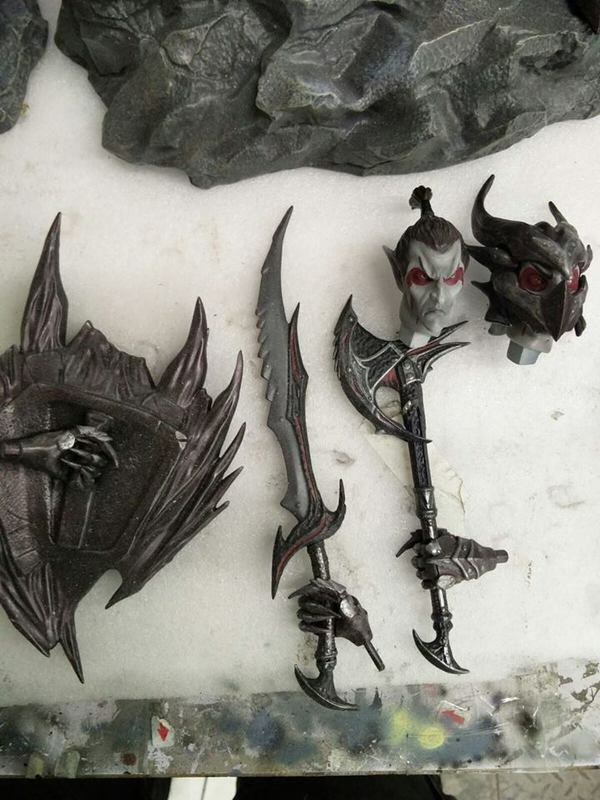 Players must invest a lot of time and valuable materials to craft this menacing set and its matching Daedric Sword and Axe. 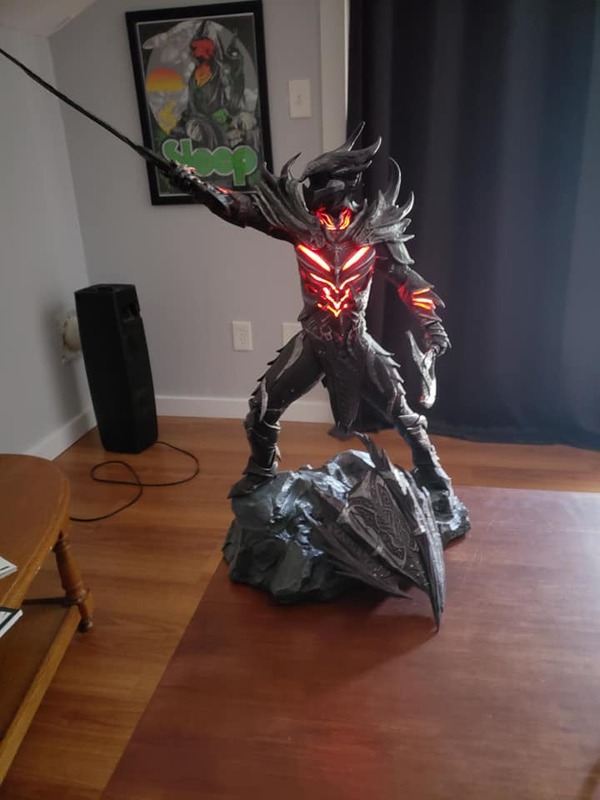 Our team of artists have done the same to create this statue of a Dark Elf warrior brandishing the entire suit and both weapons. 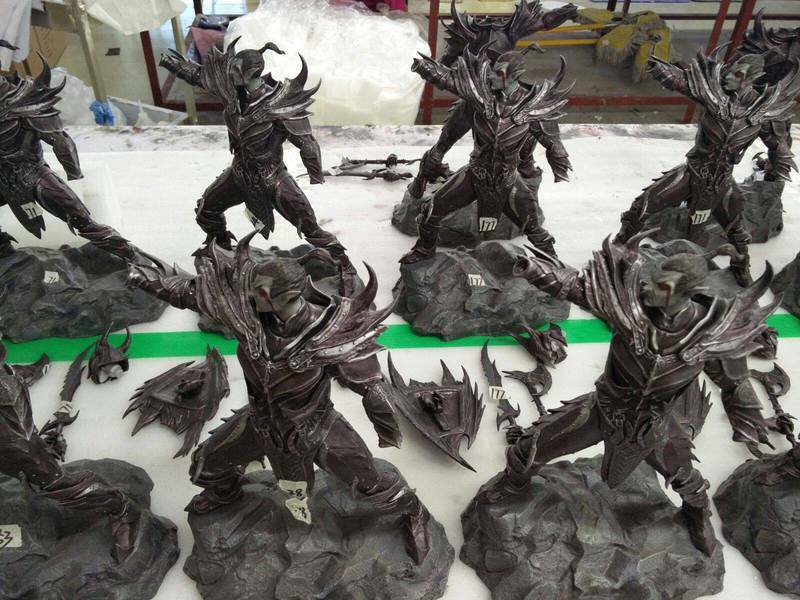 Like our previous Skyrim statues, the Daedric Armor is cast in polystone with finer details and paint skilfully finished by hand. Using assets directly from the game has enabled us to capture the very essence of the armor, from the horned helmet to the intricately pattered plates. 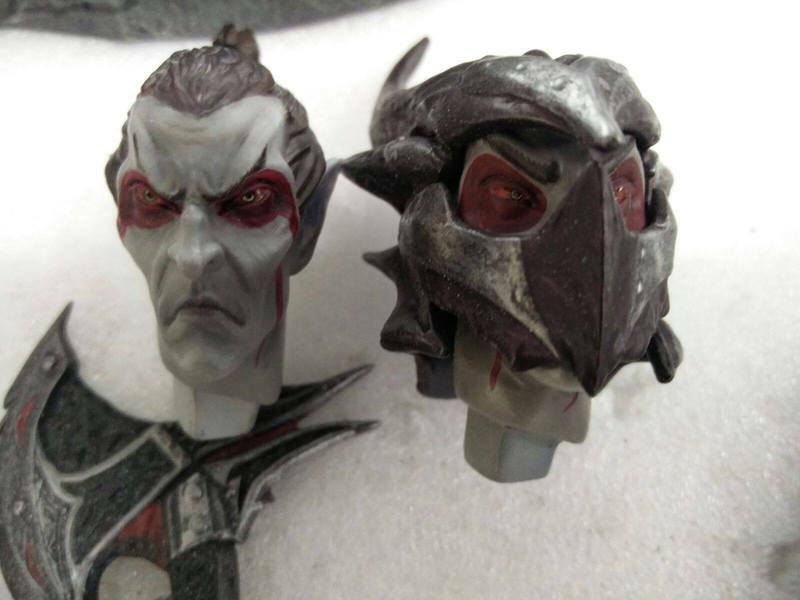 The Exclusive Edition of the Daedric Armor includes two additional pieces that can be swapped out at will; an unhelmeted Dark Elf head piece and a Daedric Shield for the left arm. 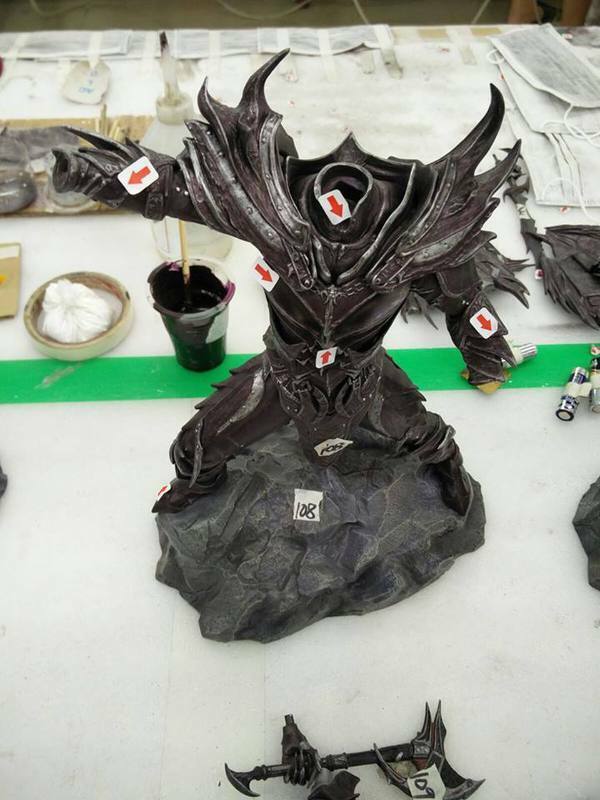 LEDs have also been fitted inside the armor to simulate the red glow seen in-game. 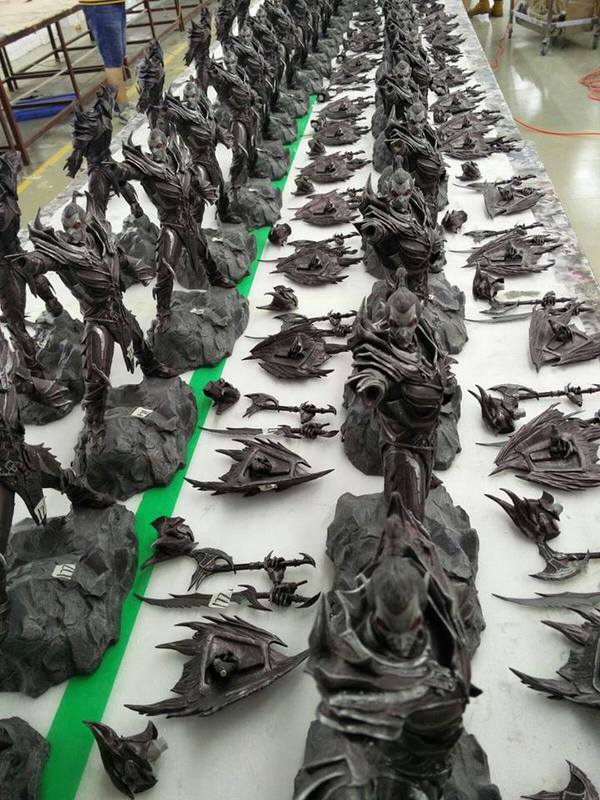 Each statue includes full-colour deluxe packaging, an individually hand numbered base and a certificate of authenticity. Kann ja nicht mehr lange dauern. Warte noch auf die finale Zahlungsaufforderung, den haben die glaub ich nochmal etwas nach hinten geschoben. Die ersten beiden Zahlungen waren Anfang Okt und Nov.